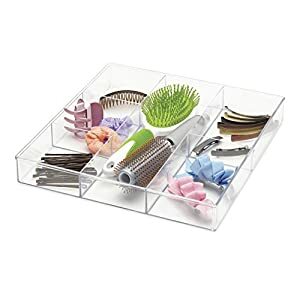 10.5" x 3" x 13.9"
The InterDesign Hamilton bathroom accessory collection is a modern, stylish and practical accent for your kitchen or bathroom sink. 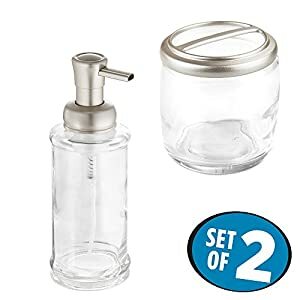 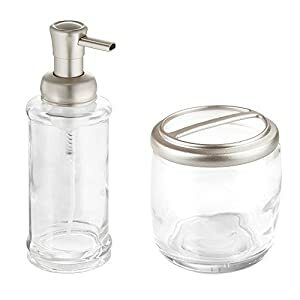 This set of two features a soap dispenser pump and toothbrush holder stand, both with a stylish, glass design. 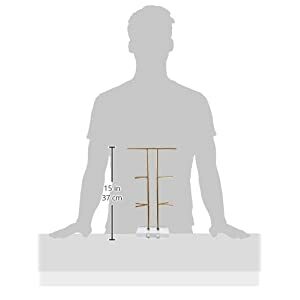 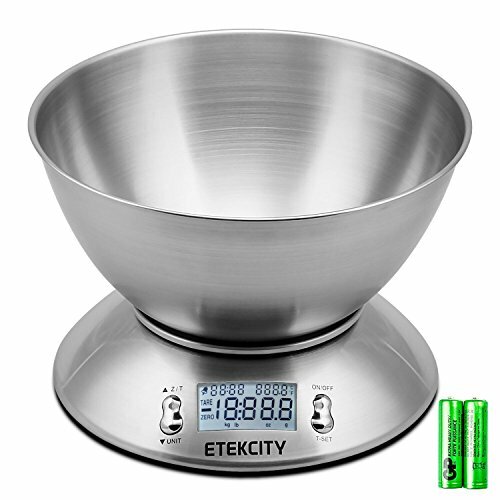 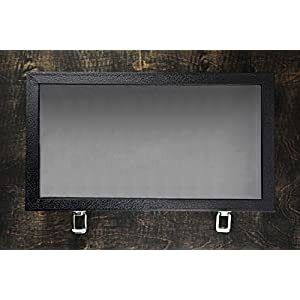 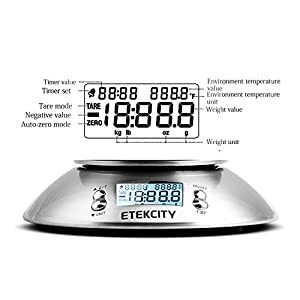 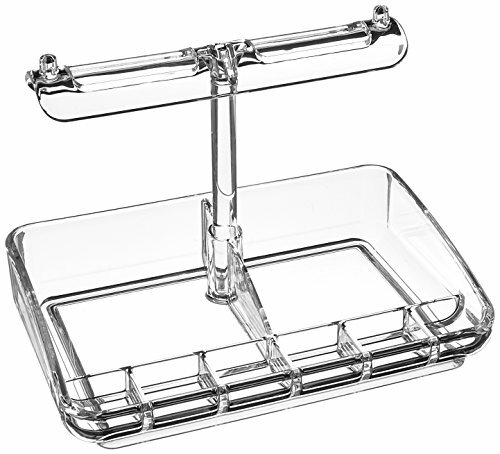 Tray size is 16" side to side, 9" front to back, 1.5" high. 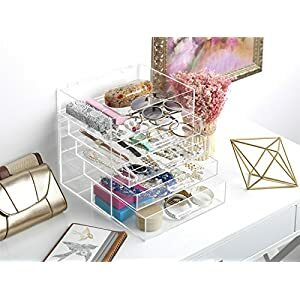 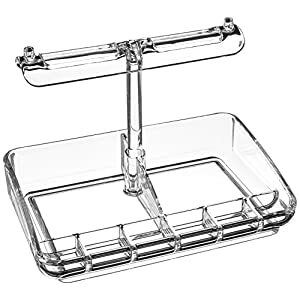 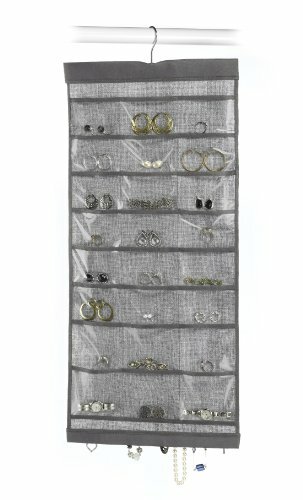 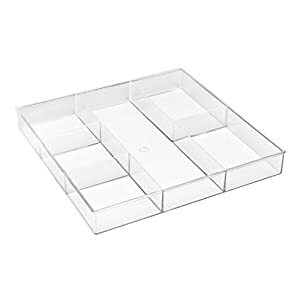 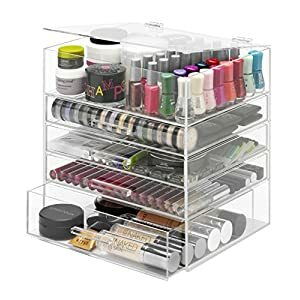 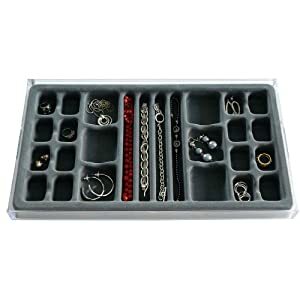 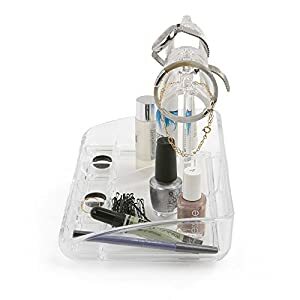 The Stack 'em Catch-All organizer features 26 multi-sized compartments that allow you can organize and protect all your jewelry items, regardless of shape and size. 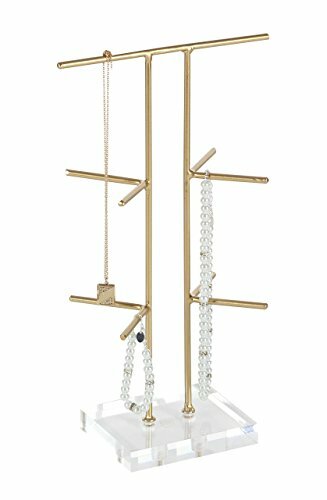 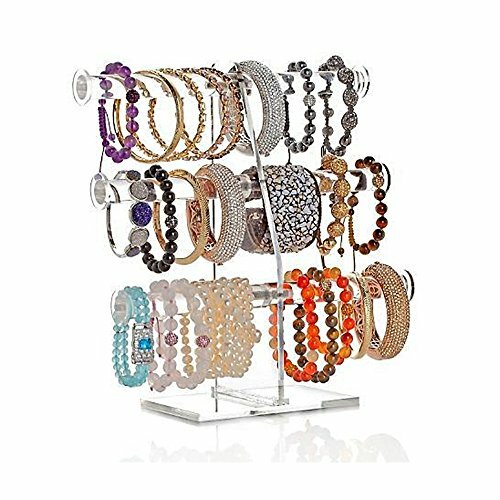 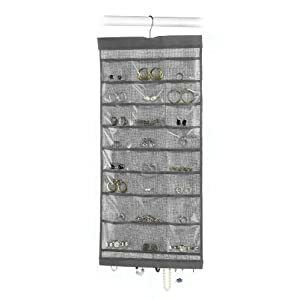 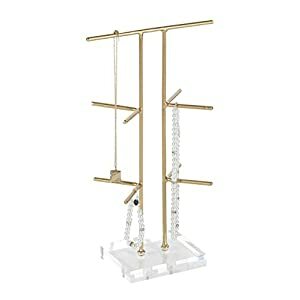 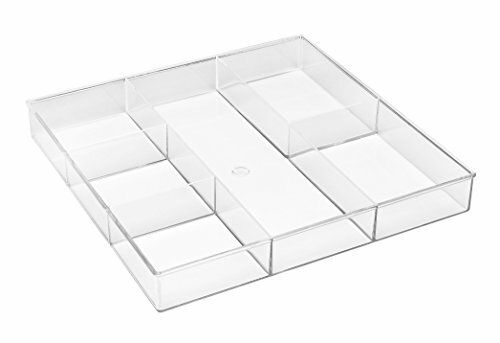 Stack 'em jewelry organizers are made of high-quality resin for long-lasting durability. 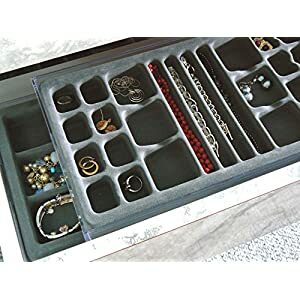 The flocked compartments keeps delicate jewelry from tangles and scratching, while preventing tarnishing. 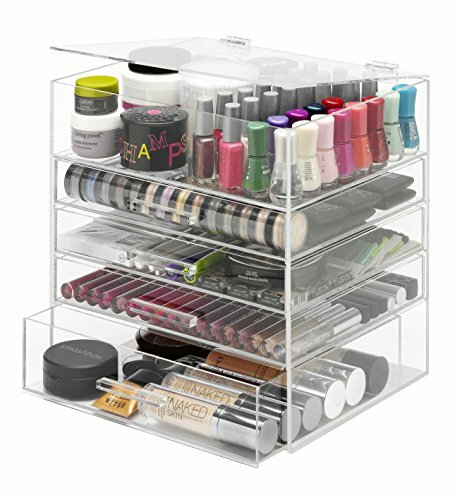 All our Stack 'em systems stack together, so you can customize to your specific needs-they fit perfectly in dresser drawers, or can be used atop your dresser, night stand, wardrobe, shelving-wherever you want. 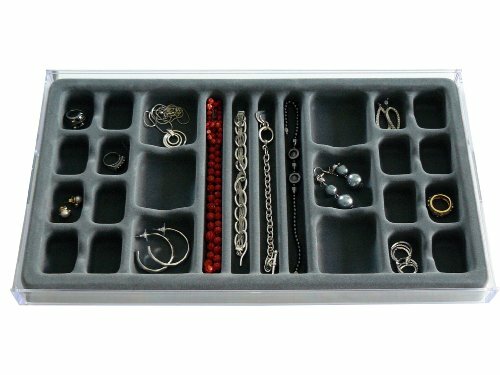 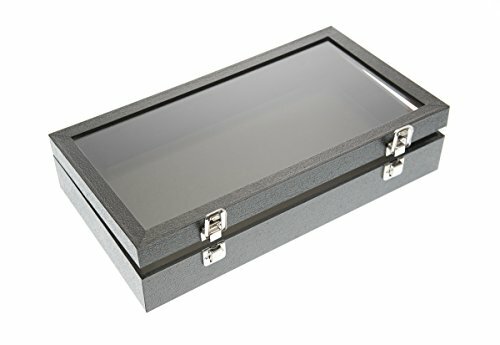 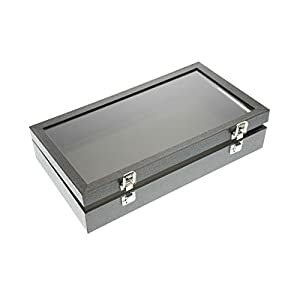 With trays to suit all your jewelry needs, you can mix and match for total customization. Never waste valuable time hunting for earrings, rings, bracelets and watches again-Stack 'ems are the perfect solution for your home, your sanity, your life.